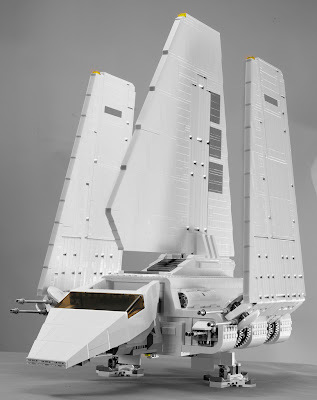 come with an imperial shuttle. 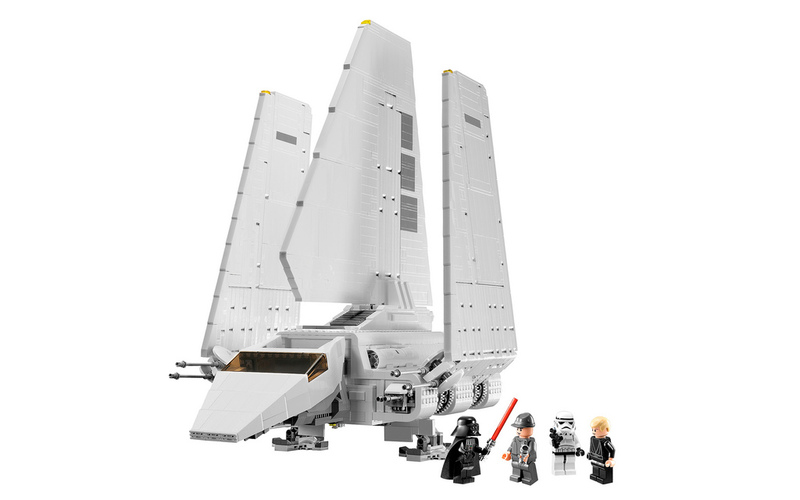 very huge stature display in minifig scale. 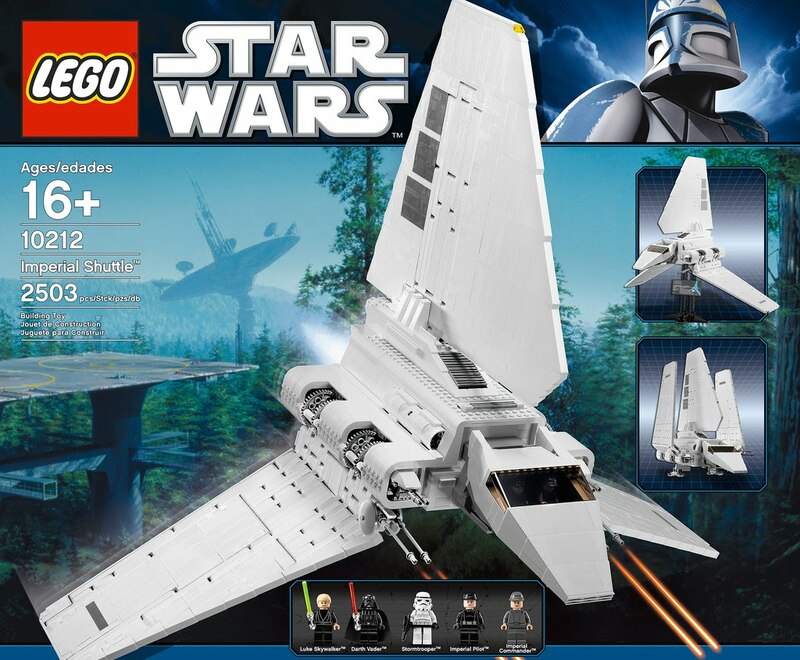 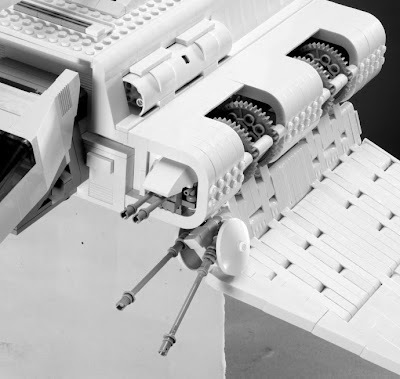 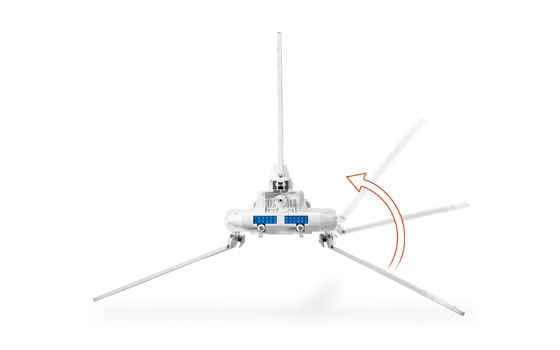 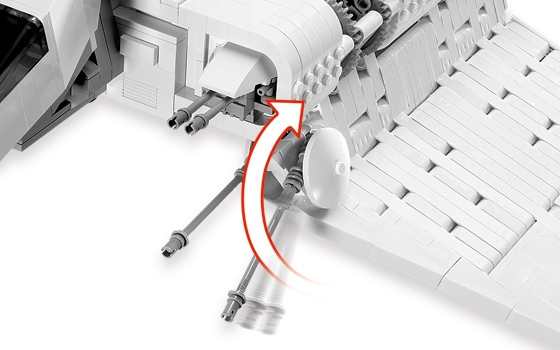 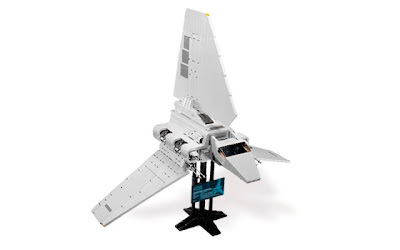 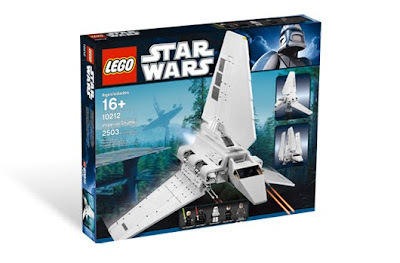 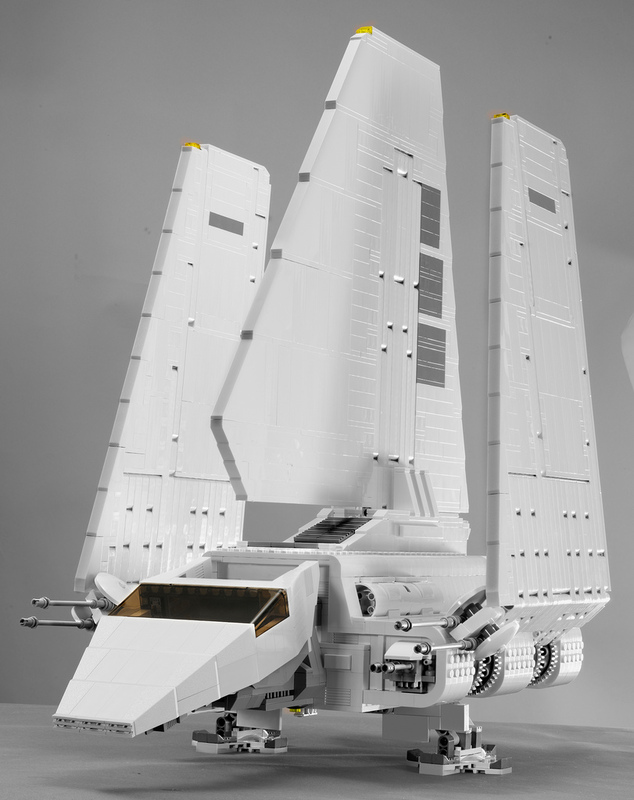 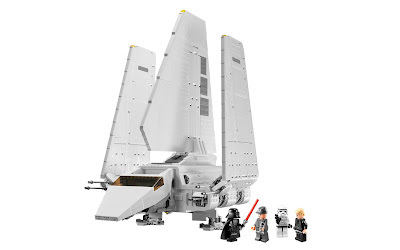 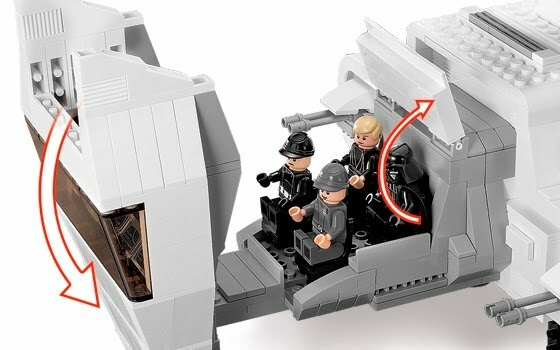 the shuttle has rotatable double laser wing cannons, foldable wings, removabe landing gears and openable cockpit roof to reveal the interior and seat 4 minifigs. minifigs included a darth vader minifig, a shuttle pilot minifig, an imperial officer minifig, a stormtrooper minifig and a luke skywalker minifig. 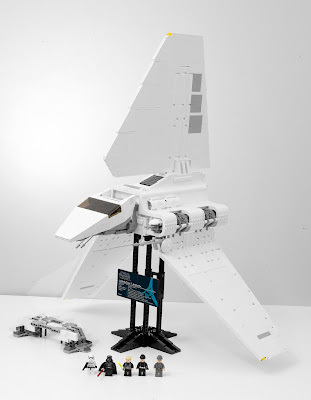 can stand on a display stand with display card.